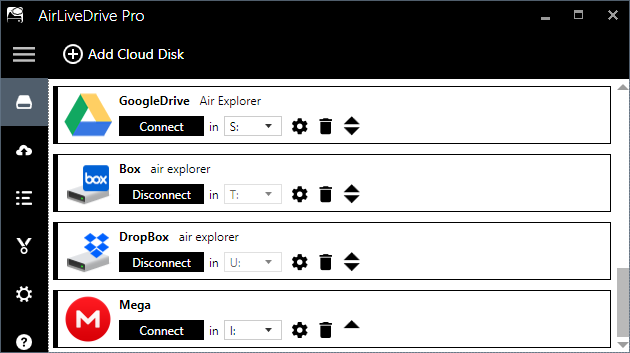 How to assign a cloud account to a disk drive in Air Live Drive? How to assign a cloud account to a disk drive? 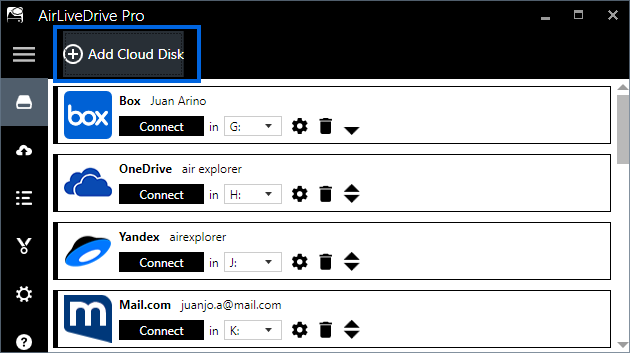 The first step to assign a cloud account to a disk drive is to add a cloud account. Select the icon of the cloud you want to add. 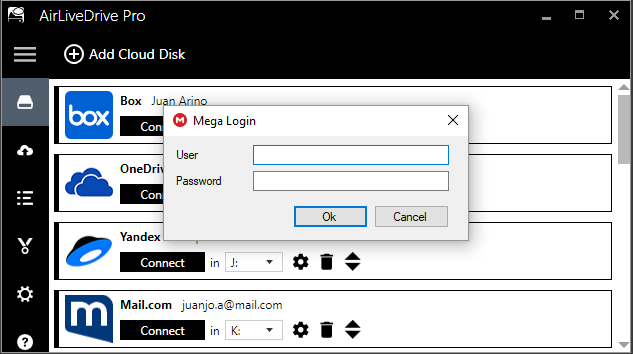 Enter your user and password in the cloud login window. 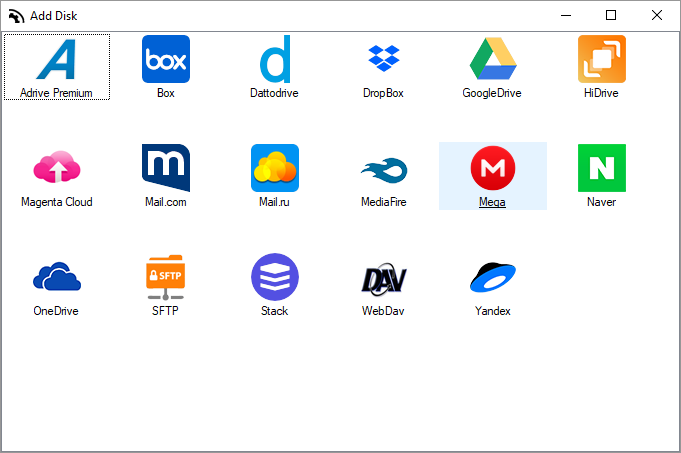 Then , you can work with the cloud account in your Windows Explorer.